The Treasury Cabinet Secretary Henry Rotich has extended exemption period for Commercial Bank of Africa (CBA) following its acquisition of Rwanda’s Crane Bank early last year. The extension was announced through a legal notice dated December 21. “The Cabinet Secretary for the National Treasury and Planning extends the exemption granted to the Commercial Bank of Africa Limited in connection with the acquisition of shares in Crane Bank Rwanda Limited to the 30th June, 2019,” read the notice from CS Rotich. CBA acquired Crane Bank Rwanda from Uganda’s DFCU Bank after receiving approvals from Kenya, Uganda and Rwanda central banks. The acquisition saw CBA set foot in Rwanda after having operated under a micro-finance licence offering a mobile banking service, MoCash. After the acquisition, CBA took over three operational branches in Kigali, expected to be merged with the existing micro-finance operations of CBA Rwanda. However, under the Banking Act, Kenyan Banks are not allowed to acquire, hold, directly or indirectly, any part of the share capital of, or otherwise have a beneficial interest in, any financial, commercial, agricultural, industrial or other undertaking where the value of the institution’s interest would exceed in the aggregate twenty-five per cent of their core capital. By January 2018, CBA had assets worth Ksh226 billion according to its financial books. On the other hand, Crane Bank Rwanda had over Ksh62 billion by 2014, translating to over 27 per cent of CBA’s assets/ capital. This meant that CBA had to acquire special exemptions from the ministry in order to take over Crane Bank as they cleared all dues by the bank. In Uganda, it is said that the bank suffered a lot of losses forcing most customers to withdraw, while there were no deposits. The bank suffered a $50 million (Ksh5 billion) capital hit from bad debt treatment. This led to the suspension of the bank’s board of directors and senior management team. Despite this, the Rwandan subsidiary was reported to be performing well. “The National Bank of Rwanda wishes to inform the public that Crane Bank Rwanda, a subsidiary of Crane Bank Ltd, is an independent bank licensed and regulated under Rwanda banking law No 007/2008. Crane Bank continues business as usual,” a statement from the National Bank of Rwanda read. With the obstacles in place, the CBA may be seeking more time to transfer assets to itself and fully take over the management of the bank. Crane Bank Rwanda is registered as an independent entity, and not a subsidiary hence making it hard to trade in Kenya through CBA banner. According to the East African, Crane’s land and buildings are registered under Crane Management Services, a sister company engaged in real estate business. Under this arrangement, Crane Bank pays rental dues to its sister company and is obliged to clear rental charges covering five years in case it chooses to vacate these premises. 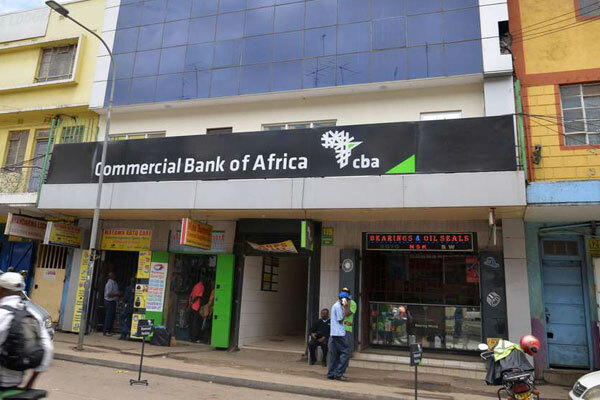 CBA, majority owned by President Uhuru Kenyatta’s family, has been seeking to expand operations in all East African countries including Burundi and South Sudan. The lender is said to also target Mozambique, Democratic Republic of Congo and Ethiopia through an online presence.